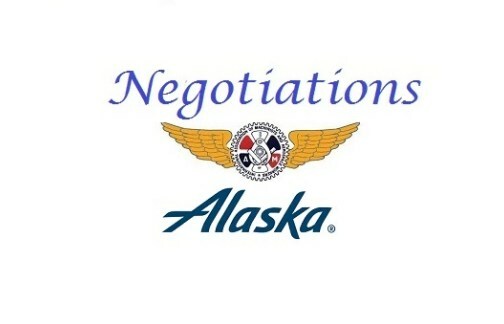 On July 6, 2017, District 142 served notice to Alaska Airlines that we intended to begin negotiations for the RSSA and the COPS Agreements. On July 17, the company objected to negotiating the COPS agreement insisting to break our negotiations apart. A week later, the company filed a grievance against the union and our membership for attempting to change the amendable date of the COPS agreement by beginning talks for both agreements at the same time. It is clear by the plain language of both collective bargaining agreements that the Union has the right to open both contracts at the same time; and that is what we have done. The IAM has been preparing for negotiations for some time now. We have collected COPS and RSSA proposals, our negotiating committee has trained for negotiations at W3, and we have prepared our full opening proposal to be delivered to the company. We feel we can achieve the best contracts possible for our members by bargaining and working together. This grievance by the company may set us back, but we will get through this and move forward. No matter the outcome, the company cannot destroy our solidarity. Our next step will be to sit down with the company to try to resolve their grievance and make plans to continue moving forward. We will keep the membership aware of our progress.